Whilst many school leavers may only be focused on getting through the final few months of their school careers, it is also essential to sort out what you will be doing next year once the chaos of exams are over, and you have had your major break! Now is the time to actually look towards the future, starting with what career you are planning to study towards. 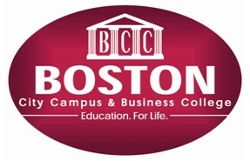 Registrations for 2014 are open at Boston City Campus & Business College. Now is the time to make that decision which will open the door to your dream job. According to employment agencies and job counsellors some form of tertiary education is no longer simply an option, it is imperative. But this does not only mean going to a university. If you are struggling to pinpoint exactly what career you want, a career assessment such as the Career Compass, which is offered FREE of charge by Boston City Campus is a great starting point. On completion of the test, dedicated career counselors will be able to provide valuable guidance about what courses you should be studying. With over 100 courses from IT/Computing, Management, Accounting, Hospitality & Leisure, Marketing & Sales and Sport Administration, to choose from, Boston City Campus has something for everyone. Choosing and then successfully completing a course, diploma or degree with Boston is one thing – securing employment is another issue. The job market remains tough and predictions are that it is only going to get worse. Gaining work experience before you have even qualified is a must. Boston offers a placement after study programme called Experience It!. This means a student can gain some form of work experience, so that when they apply for a permanent job, they have real time work skills to offer hiring companies. Boston also understands that money and fees can be one of the major hurdles for prospective students and their parents and it does not want finances to put an end any individual’s ideals of having a successful career. Boston therefore offers various payment options and if you register for 2014 before the end of November 2013, you will save 10% on tuition fees.